for the Agile Denver organization. He is a former Agile Denver board member, and he has helped put on the Mile High Agile conference since it began. This year, he is excited to lead the program team. For work, he manages five teams of developers at Vertafore here in downtown Denver. Chuck is married, with 7 college-age children. When he’s not at work, he can be found hiking or playing board games with family and friends. 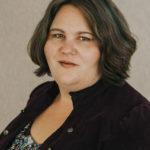 Colleen Johnson is the Practice Director of Adaptive Agile at ImagineX Consulting. Colleen applies a systems thinking approach to aligning agile methodologies across the enterprise and works with clients to apply the right cultural and context-driven practices to create sustainable agility. She is an expert in Lean/Kanban methods of software delivery and advocates for LeanStartup principles using scientific methods of customer-centered discovery. 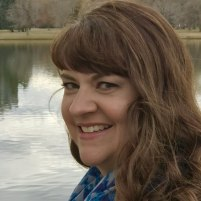 She is active in the agile community locally as a member of Agile Denver Board of Directors and Chairwoman of the 2016 & 2017 Mile High Agile Conference and nationally as a member of the Agile Uprising Board of Directors. She is the COO & Cofounder of ScatterSpoke.com, a free tool for more effective team retrospectives. In her free time she enjoys running and yoga as well as camping and hiking with her two kids. Daniel has been developing software for nearly two decades and has been working in agile teams for the last 12 years. More recently, he has worked with agile42 coaching teams on the adoption of agile practices both in code and across the organization, but his passion is still in writing great software and helping others do the same. In addition to writing software and coaching, Daniel maintains a podcast of short 5-minute topics of agile problems that impact the team at technicallyagile.com. Christen has been steering her career between transformational consulting, agile coaching and striving to be an extreme leader since the early 2002. With influences from Steve Farber, Brene Brown and Agile, she has built a leadership consulting business helping people find their own personal leadership style that produces amazing results for their lives, their work and their company. Steve is a Certified Scrum Master and Certified Product Owner who has over 30 years of experience as an agile developer and coach. He has a strong ability to move teams forward with flexibility, dynamism, knowledge and creativity. 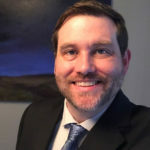 Steve has experience in multiple industries including GIS systems, telecommunications, SAAS internet security solutions, and database/modeling solutions. For the past three years, Steve has focused solely on providing technical and agile craftsmanship consulting to large teams delivering high quality, high value software. He has assisted organizations in all aspects of standing up highly functional teams including helping to create a strategy around DevOps and CI/CD and coaching teams in planning, implementing and delivering high quality software utilizing modern Agile practices and principles. Steve has provided leadership, guidance and coaching for teams that are either moving to Agile or merely want to reach a higher level of craftsmanship in their Agile shop. He has also helped organizations create and implement a vision and strategy for furthering their development practices and developed course material for training around technical and non-technical topics. Steve also enjoys working with senior leadership to help them understand how best to utilize the enhanced productivity provided by an Agile work environment. 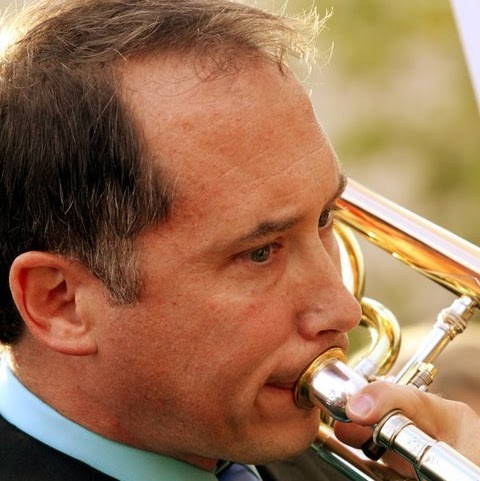 Steve has been an active participant in the Agile community since 2000. He has presented at Agile and Software Development conferences around the world, including Agile 2014, 2015 and 2016. He is an active blogger and has been published in Better Software magazine. Meg Ward manages a team of engineers for Ibotta and is a political nerd, feminist, homebrewer, roller derby bad@$$, software dev and manager with 18 years experience in everything from C++ on HPUX to C# and beyond. She believes experience is the best teacher but a lesson from someone who’s been there can be almost as good, and also that the book is generally better than the movie. When chasing cats, children, jammers, or rare beers, she can be found reading, cross-stitching profane and/or nerdy patterns, binge-watching The Crown, and brewing weird new beers (sour pumpkin gose, anyone?). Strategic technology and product professional who leads with a vision aligned with company strategy and rooted in user empathy, driving value for the business, and creating technology runway for future agility—built on a foundation of obsessive attention to the right details. Partner and advisor to senior leadership throughout 15-year career, leading teams of up to 120 on software development and technology infrastructure projects and managing multi-million dollar capital investments. Technical lead on project recognized for innovation by CIO Magazine as Top 100 IT Project. I am an agile educator, coach and mentor. I teach and coach teams on how to effectively apply agile principles and practices to their work. I primarily serve the data warehousing, business intelligence and analytics communities. I also enjoy practicing what I teach by participating as an active agile team member for clients. I publish articles and blogs in various places, most of which you can get to via my website, www.WinterboerAgileAnalytics.com.